where an idea is understood as a basic element of thought that can be either visual, concrete, or abstract. Ideation comprises all stages of a thought cycle, from innovation, to development, to actualization. As such, it is an essential part of the design process, both in education and practice. 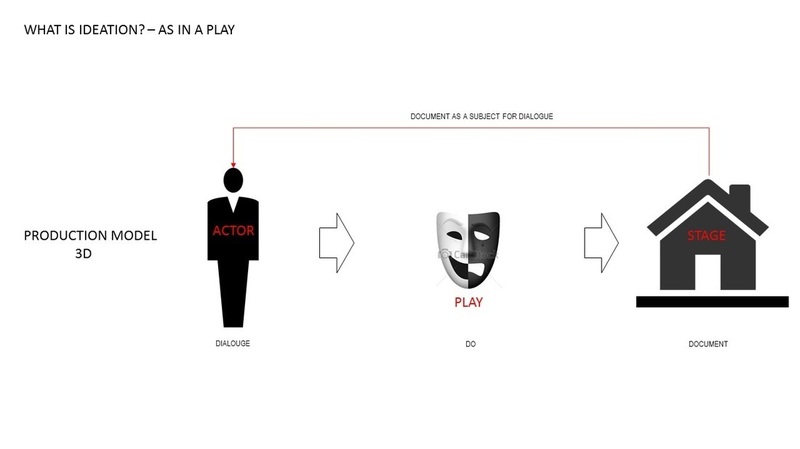 It has to make up of 3 entities, resembles of an act would be the Actor, the Play and the Stage. The Actor would probably be a living person. He must have some intention either to create or to produce. To do so, he must learn the art and the law of creation or production. This is known as the “know how” or the PLAY. He must also find a platform to do so such is called a STAGE. Like a builder must find an Architect for his IDEA to build and a SITE for the building to sit on. Like an artist, he must have a canvas to draw. The product of an act by the actor is call the PRODUCT. It can be a built form or just as an idea. Such product will again be a subject for another ideation. 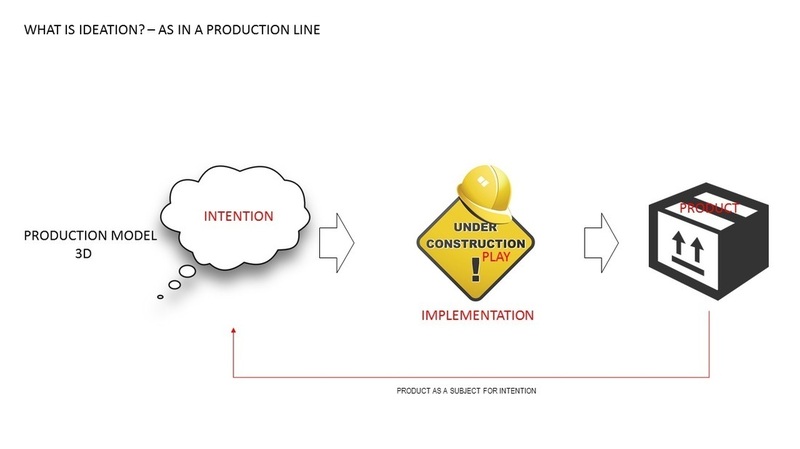 This is summarized as intention – implementation – product, the 3 aspects of IDEATION.